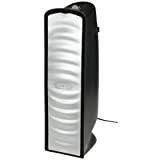 True-Air Tower style Ionic Air Purifier with HEPA grade permanent filter that never needs changing and is 99% effective down to .5 microns for removal of contaminants. Ultra quiet with streamlined front grill that dampens the noise levels. 4 speeds including automatic . The units air quality sensor automatically senses when to adjust the fan speed to maintain clean air . Unit is rated for a 180 square foot room. 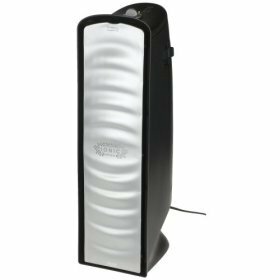 Unit is Energy star qualified for very low power consumption- and is 10 times more effective than other leading Ionic Air Purifiers.